This summer while traveling in Western New York we ran into a wonderful article in a local newspaper. 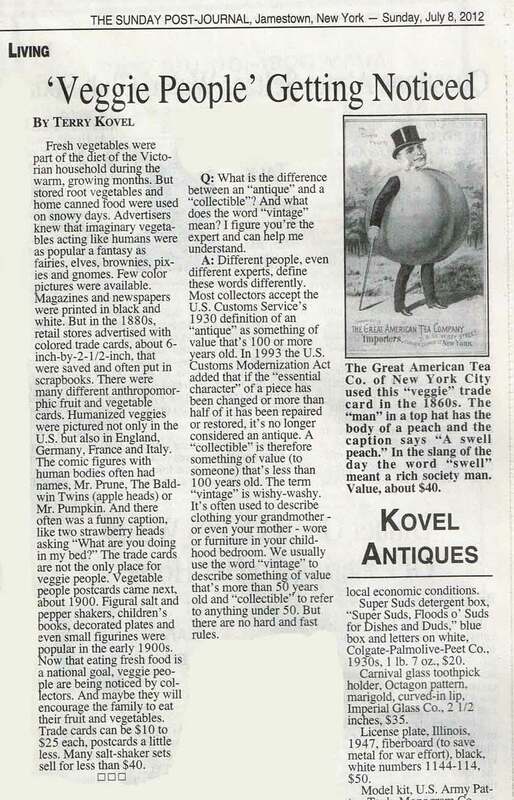 The article is written by Terry Kovel who with her husband have written numerous books, articles and are even TV stars! To read more about them and their antique business please visit http://www.kovels.com. And now for the article!